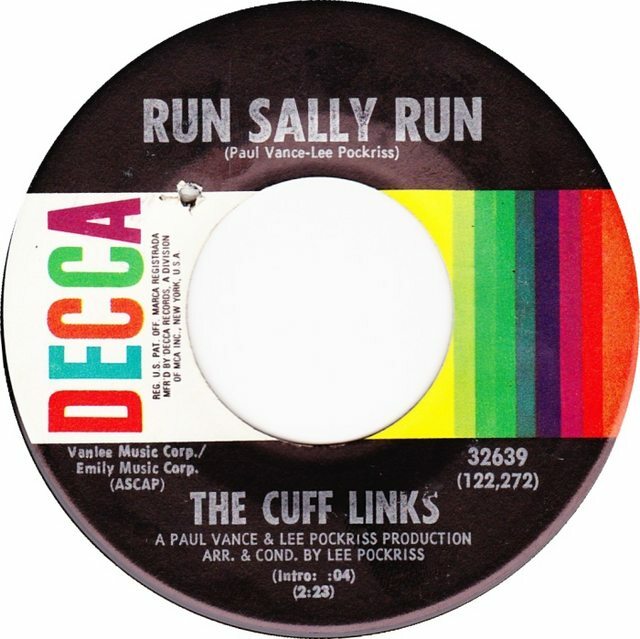 The Cuff Links were most well-known for their 1969 hit "Tracy". This tune, released in early 1970, was not a hit, but is considerably more upbeat than "Tracy" and, in my humble opinion, a much better overall song. This band had their biggest hit in 1970 with their first single, "My Baby Loves Lovin'". The pop group would never achieve this sort of success again, unfortunately. 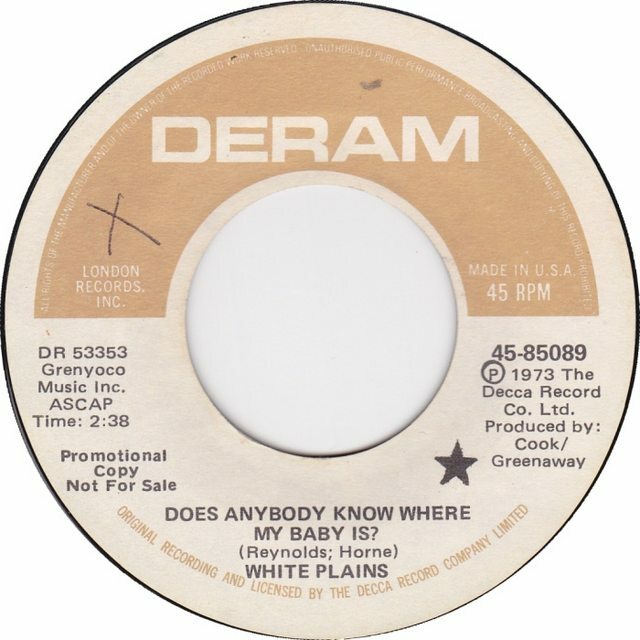 This well-produced and very catchy single appears to have been the last record released by White Plains in the USA, in April 1973.